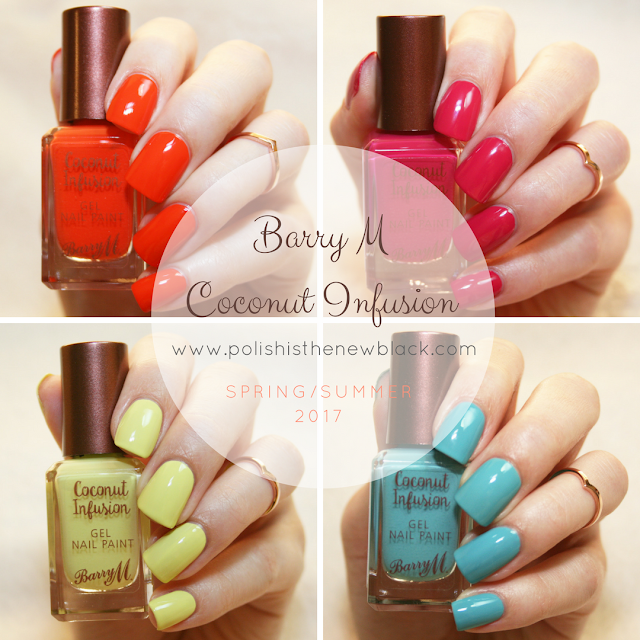 So today I'm back with some swatches of the new Barry M Coconut Infusion releases for Spring/Summer 2017. 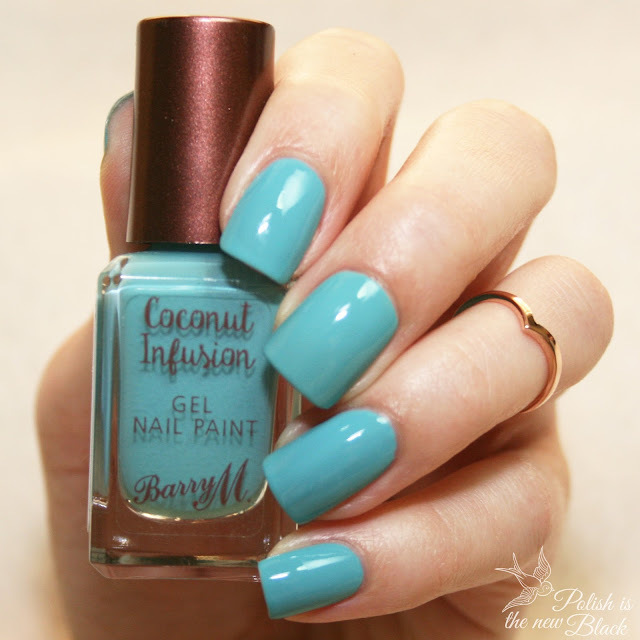 For those of you who don't know the Coconut infusion polishes contain coconut water and coconut oil to hydrate and nourish your nails. 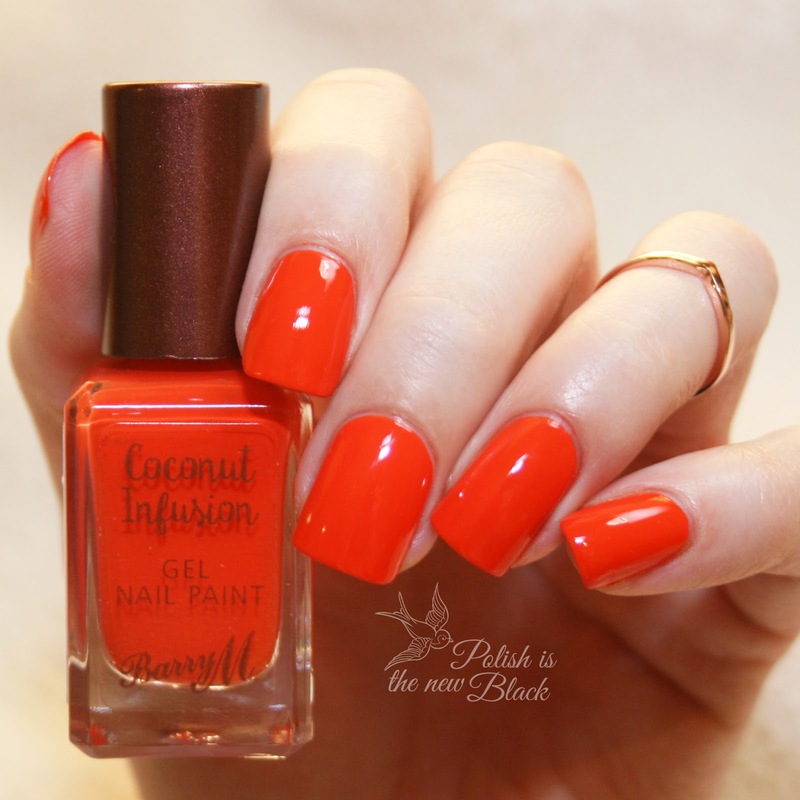 I love the formulation as they have a gorgeous glossy finish too. I'll take you through each polish in turn. 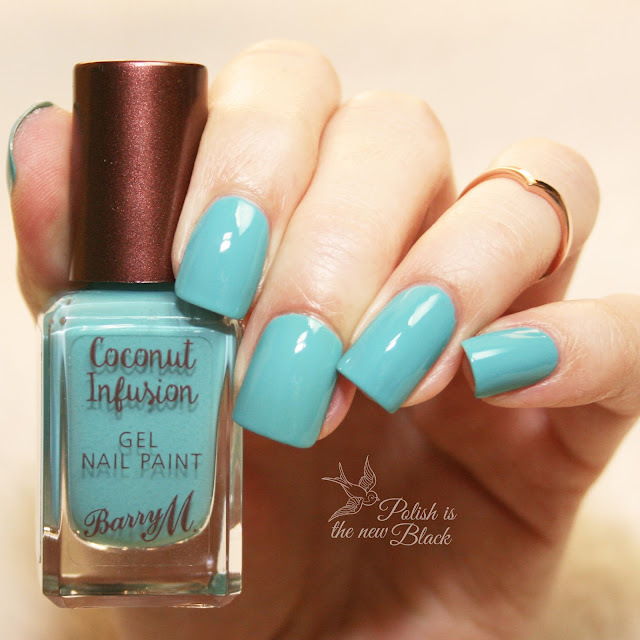 All swatches are two coats topped with Barry M Wet Set Quick Dry top coat. 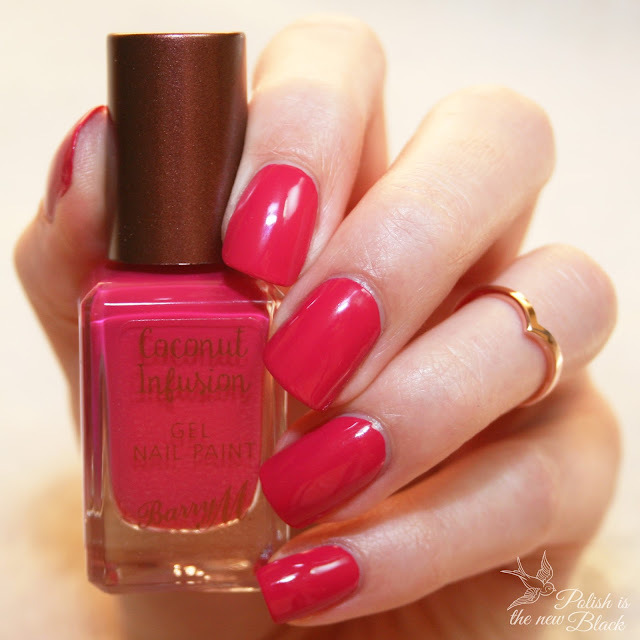 A gorgeous bright pink/berry shade. What do you guys think of the new releases? I love these polishes so much and love them on you. Lemonade has to be my fave, that colour is insane! !